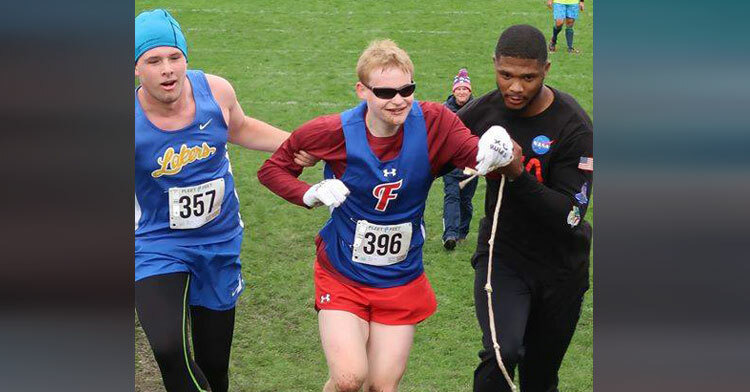 Blind Runner Collapses On Hill, But Competitor Rushes To Help Him To Finish Line. Many high school athletes compete with two things weighing on their minds: winning and potential scholarships. 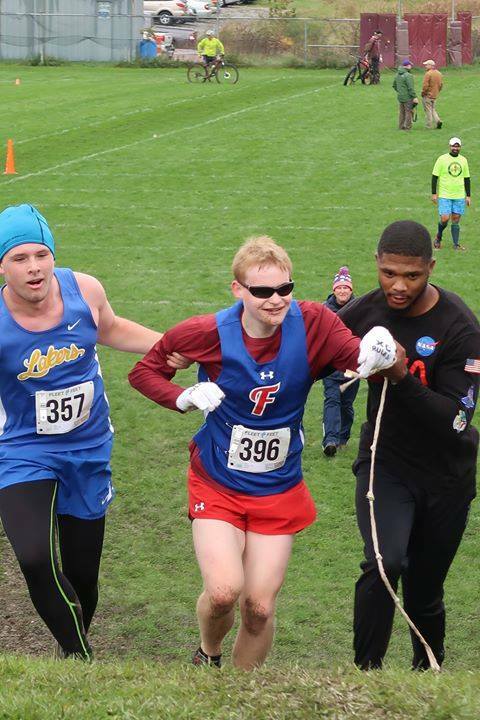 But high school sophomore, Jake Tobin recently demonstrated how far a little sportsmanship can go when a visually impaired runner, from a competing school, fell on a hill at the end of the race. 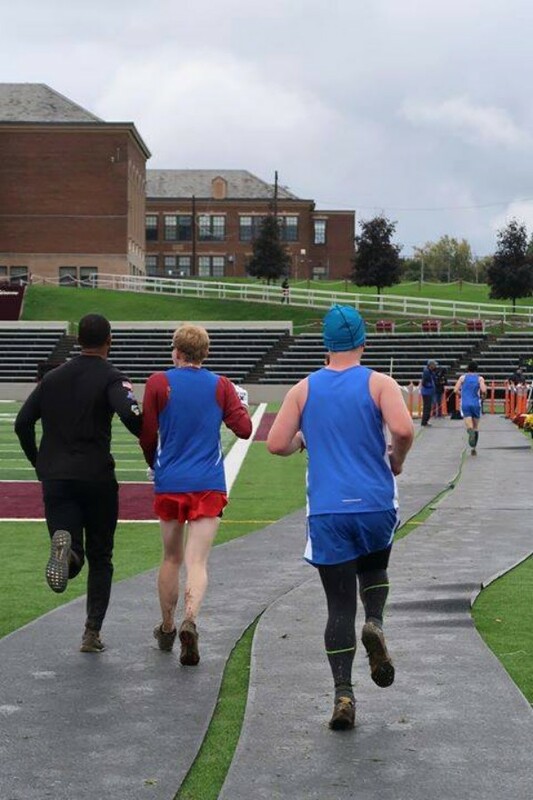 Recently, the Cazenovia High School Student was competing in a cross country race. With only 200 meters to go he was passed by a competing student, Luke Fortner who is visually impaired. As Fortner passed Tobin, the crowd cheered for him (and so did Tobin). 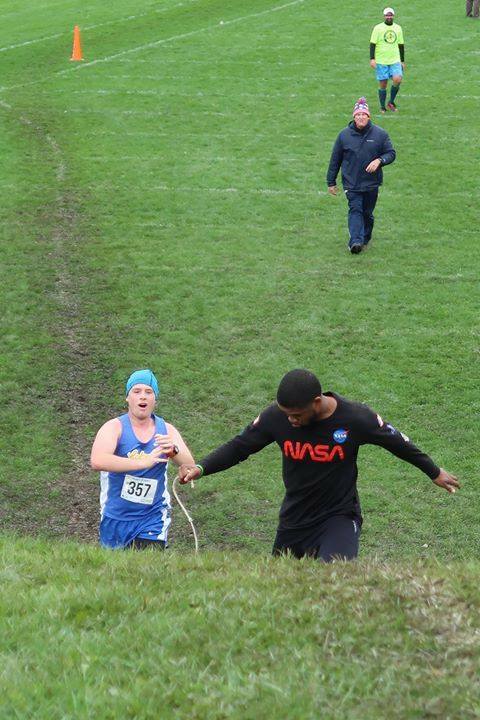 However, just after he passed the Cazenovia student, Fortner slipped on a muddy hill and fell. Tobin saw the fall and, realized he could beat him, but in a show of pure kindness, stopped to help him up instead. Fortner’s running aid came up alongside him and they ran across the finish line. Tobin’s coach said that it was “touching to see” his student help a competing athlete without thinking twice and that it’s a “memory [he] will carry with [him] for a long time”. After the race, Cazenovia Central School District shared the story (which was sent to them by a parent) on their Facebook page. The note commended Tobin for his “sportsmanship” for not only cheering Fortner on after he passed him but also for helping his competitor to his feet. Fortner’s mom saw the post and shared the sentiment, calling Tobin a “great guy”. 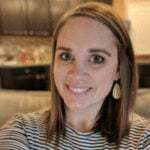 Word quickly spread, and before long comments started piling up on the school district’s post. Parents and students can’t seem to get over Tobin’s good deed. Those who know the student aren’t at all surprised by his actions. In the end, Tobin finished two seconds behind Fortner and his aid – but we have a feeling he didn’t really mind. Spread the love and share this sweet story of kindness and sportsmanship!